We were approached by a new business start-up, Inverness House, to design a new logo, business identity and accompanying website. As a new luxury guesthouse, their logo and branding needed to reflect the quality of their core product, accommodation. Colours were carefully chosen to resemble quality and luxury, likewise the logo was designed to be easily recognised by customers and to stand out from the traditional guest houses within the city. When our web designer and developer team created this guesthouse website, we researched the best competitors and evaluated the functionality and aesthetics of each website in order to set a benchmark to exceed so that we could design the best guesthouse website possible. The website was once again designed to reflect the quality and luxury of the property, so that customers would be impressed and look to book as soon as possible with the integrated booking system we integrated into the website. So, with a quick trip up to Inverness, to stay at the guesthouse and meet the owners, our web designers took the opportunity to scout out and photograph the surrounding areas and guesthouse itself and return with a vast library of high quality imagery. This meant that the guesthouse website was quickly populated with high quality professional photographs. 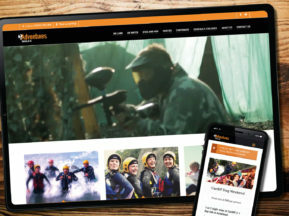 The website also benefitted from a boost in content as our web designers realised that a local attraction section was needed. The reason behind this was to reduce the volume of enquiries about ‘where to go’, it meant customers using the free WiFi could browse the library of information online, with links to the attractions, without the need to clutter the guesthouse reception with unsightly leaflets. 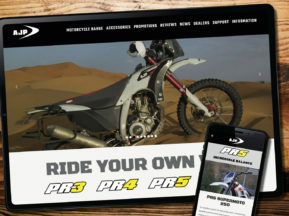 As the website was built through using WordPress, the business owners are able to update the website and it’s local attraction directory on a regular basis. 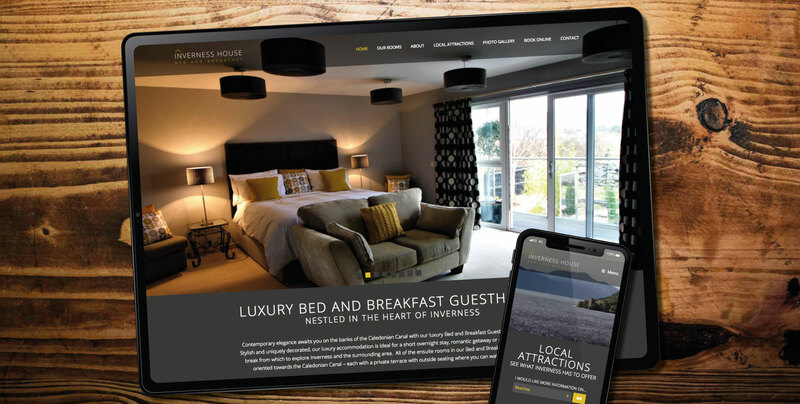 When building the guesthouse website, our web design and digital marketing staff recognised that The website would sit within a saturated market and had advised the business owners to concentrate on their tripadvisor and bookings.com listing. With our guidance and support, they were on a fast track to high rankings within those tourist platforms. 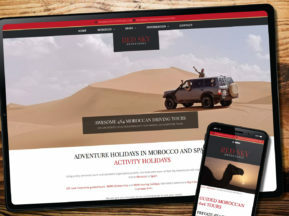 We then advised how the website would then work alongside these platforms and that most people would Google the business for further information and reassurance, which in turn, as a modern website, would more than likely secure the booking. This has proved to be the case, as the business started trading in 2018, and they proved to be fully booked throughout the whole tourism season. Designing a website for a guesthouse was a new task for our web designers, they are used to designing sites for various businesses, but strangely we’d never previously designed one for a luxury guesthouse. 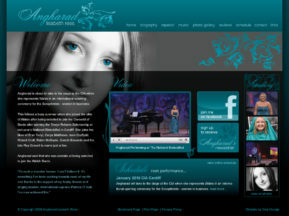 But as you can see what a beautiful wordpress website this is.